Although the media and the political pundits don’t like to talk about it, former Gov. 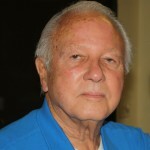 Edwin Edwards remains the candidate to beat in the race for Congress from the 6th Congressional District to replace Dr. Bill Cassidy, who is running for the Senate. With eight Republican candidates still in the race, the Republican vote will be divided, and the chances of an all-Republican runoff seem unlikely. The conventional wisdom is that the Republican who makes the Dec. 6 runoff with Gov. Edwards is a sure-fire winner. But Edwards remains an articulate speaker with a vast knowledge of issues and an understanding of people. If Edwards does make the runoff, a slight stumble by his GOP opponent, such as a scandal or an embarrassing gaffe could open the door for Edwards to take advantage of the opportunity and win the runoff. Some pundits speculate he is in the race to help Mary Landrieu but he and Landrieu have never been political allies.